*Ask us about our free upgrades! *No maximum units. Minimum unit purchases as noted above. Purchases of less than the minimum quantity do not qualify. The Alustra® Collection products within these categories are included in the rebate offers. 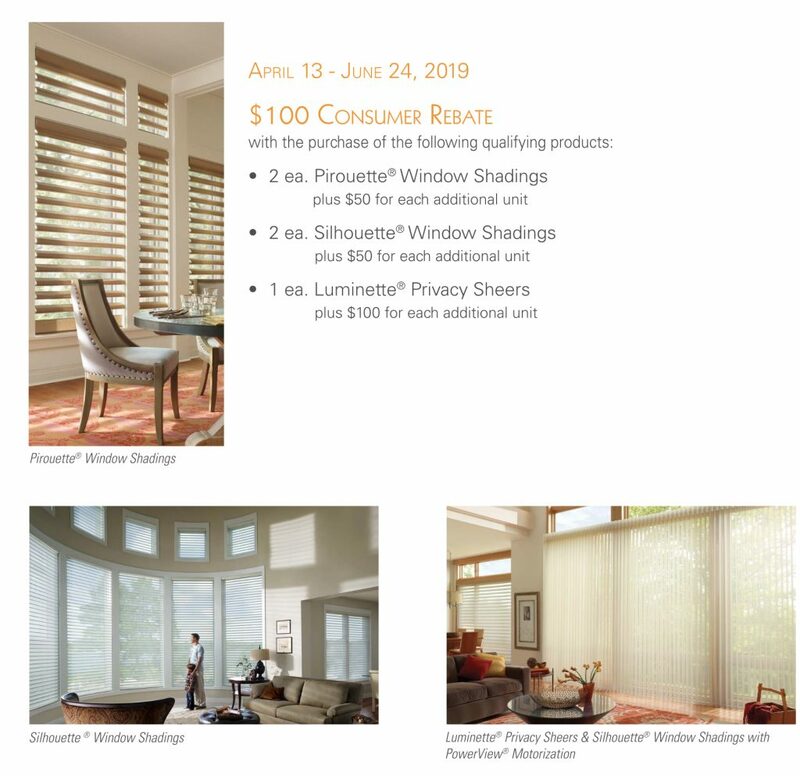 HDOrigins™ and Nantucket™ window shading products are excluded from the rebate offers. Information provided here is a brief overview. A qualifying purchase is defined as a purchase of any of the product models set forth above in the quantities set forth above. If you purchase less than the specified quantity, you will not be entitled to a rebate. Rebate will be issued in the form of a prepaid reward card. Funds do not expire. Subject to applicable law, a $2.00 monthly fee will be assessed against card balance 6 months after card issuance and each month thereafter. See complete terms distributed with reward card. Additional limitations may apply. Ask Saybrook Home for details and rebate form.